This year we have seen so many awesome DIY holiday wreaths. So many wreaths and so little time… There are wreaths for professions, passions, and personalities. 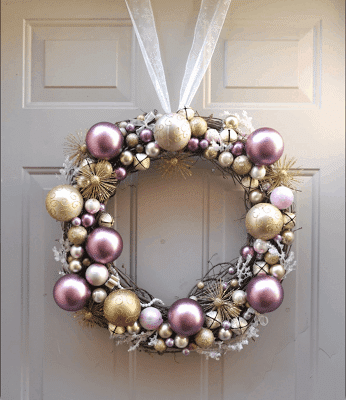 Wreaths for outdoors and indoors… Next year, we hope to make a few of these we have listed but for now… the list. We hope you like our selection for the top 6 DIY Christmas Wreaths of 2014! 1. Christmas Present Wreath. This very inexpensive wreath can be created by wrapping various sized boxes with wrapping paper and ribbons and using hot glue to fasten them to a wreath form. To fasten to a door, just tie a ribbon around and hang from your door. 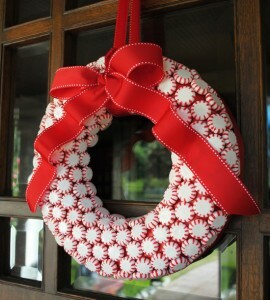 We could not find the owner of this wreath but the picture came from familyholiday.net. 2. Peppermint Candy Wreath. How sweeeeet is this wreath? We love how the candies create a wild and whimsical pattern throughout this wreath. 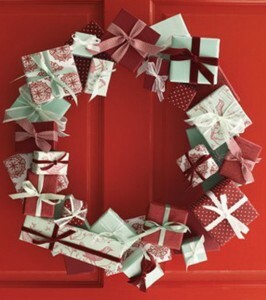 Basically you use a wreath form, paint it red or white, and then hot glue the candies on to it. Tie a big ribbon to the top to hang and add finishing touches. The complete tutorial can be found on Budget Wise Home. 4. Wine Bottle Cork Wreath. 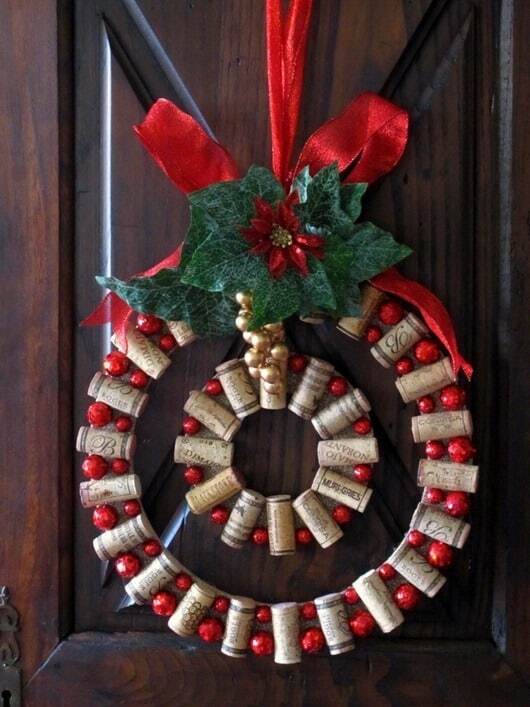 This is the perfect gift to give from all wine lovers who ask themselves what they should do with all their corks! If Kathie Lee Gifford’s wine GIFFT wasn’t a twist off, we would tell her about it! This idea came from Wine and Cork blog. Clever idea Wine and Cork. Here’s a toast to you from Sisters Know Best! 5. 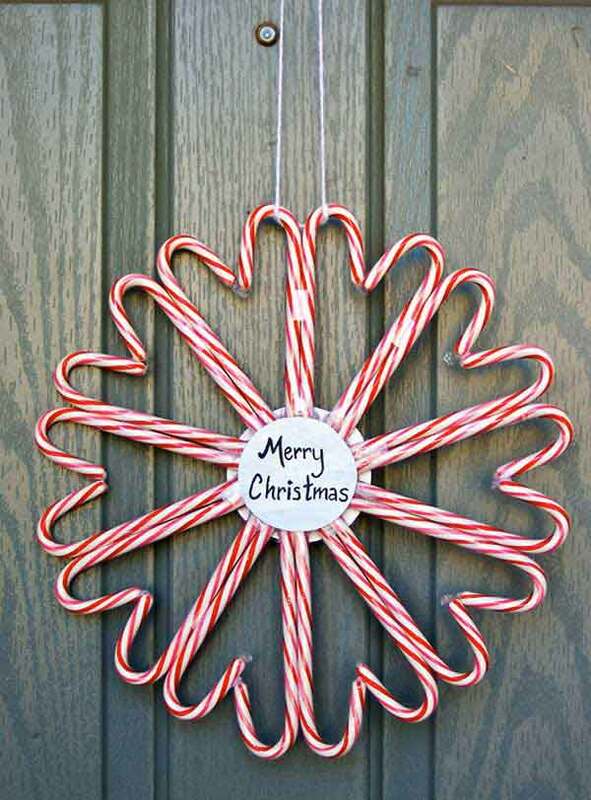 Candy Cane Wreath. This is probably our favorite wreath of all! 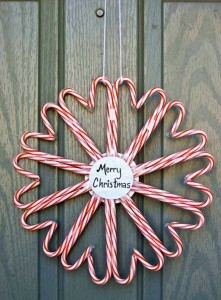 The simplicity yet thought out way of putting the candy canes together makes this the perfect gift wreath. We love the hearts each set of candy cane’s form! Couldn’t find a tutorial but looks like they are just taped together. We would probably use hot glue for ours. 6. 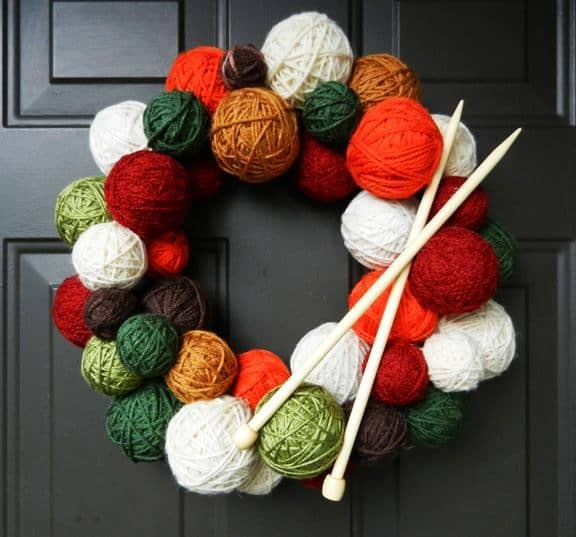 Knitting Lover’s Wreath. We can think of tons of people we know who would love this clever crafter’s wreath! One of us sisters (Emily) would love it on her door. She’s a knitter through and through. Our favorite part of this wreath is the secret. These are styrofoam balls wrapped with yarn! Get the tutorial from us! Yup, that’s right, see our tutorial for the Knitting Lover’s Wreath. There they are. Our top 6 DIY Christmas Wreaths of 2014. What one is your favorite? Why?